For years Microsoft has been insisting you follow the proper procedure when removing USB drives. While it wasn’t exactly a complicated procedure, you couldn’t just yank a device out of a USB slot without risking losing data. But that’s no longer the case. As a reminder you would normally look for the Safely Remove Hardware icon on the taskbar. Then right-click the icon and select the hardware you wanted to remove. Then, and only then, would Windows give you the all-clear to remove the USB device. Now, Microsoft is changing the default removal policy for external storage media. The default was formally Better Performance, and it involved the rigmarole outlined above. The new default is called Quick Removal, and it means you can remove devices at any time. According to this Microsoft Support note, Quick Removal means Windows 10 “manages storage operations in a manner that keeps the device ready to remove at any time”. Which means you can “remove the device without using the Safely Remove Hardware process”. Right-click Start and select File Explorer. In File Explorer, find the letter associated with the device. Right-click Start and select Disk Management. Right-click the label of the device and then click Properties. Select Policies and then select which policy you want to use. Please note that switching to Quick Removal means “Windows cannot cache disk write operations,” which “may degrade system performance”. So you need to choose between better performance and having the option to remove USB devices quickly. Do You Need to Eject Your Device Before Removing It? You’ve probably been safe to remove a USB drive without going through the proper procedure for a while. Microsoft has had protections in place since Windows 7, and Windows 10 version 1809 started rolling out in October 2018. If you’re still confused as to whether you need to eject your flash drive before removing it Do You Really Need to Eject Your Flash Drive (or Device) Before Removing It? 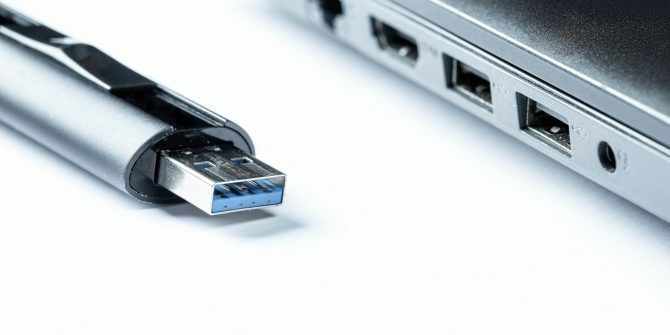 Do You Really Need to Eject Your Flash Drive (or Device) Before Removing It? It's well known that USB flash drives are supposed to be ejected before removing them. But do you really still need to do this? What happens if you don't? Read More , we have previously explored the subject in depth. Explore more about: USB, Windows 10. There must be a different Windows 10 1809 in your world than mine. I followed your directions and never saw "policies" under the "Properties" section. I've never lost data ever just yanking a USB storage device out of any USB port. I think I used the safely remove USB hardware once or twice and said screw this. Haven't looked back since.